Stuart Foster, Professor and Canada Research Chair in ultrasound imaging, department of medical biophysics, University of Toronto, was inducted into the National Academy of Engineering "for pioneering the field of high-frequency ultrasound and translating its technologies into clinical and preclinical imaging systems". Election to the National Academy of Engineering is among the highest professional distinctions bestowed on an engineer who has made outstanding contributions to "engineering research, practice, or education, including, where appropriate, significant contributions to the engineering literature and to the pioneering of new and developing fields of technology, making major advancements in traditional fields of engineering, or developing/ implementing innovative approaches to engineering education." Professor Foster will be formally inducted into the National Academy of Engineering, at a ceremony in Washington, D.C. on October 8, 2017. Congratulations! Source from IEEE UFFC News. Gregory C. Stone, IEEE-F, Dielectrics Engineer of Iris Power-Qualitrol at Mississauga, Ontario, is the recipient of 2018 IEEE Richard Harold Kaufmann Award "for advancements in rotating machines insulation evaluation and testing". IEEE Richard Harold Kaufmann Award recognizes outstanding contributions in industrial systems engineering - sponsored by the IEEE Industry Applications Society. Presentation venues will be scheduled by year-end. Congratulations, Gregory. The IEEE Canada A.G.L. McNaughton Gold Medal: For outstanding contributions to signal integrity of high-speed systems and interconnects. 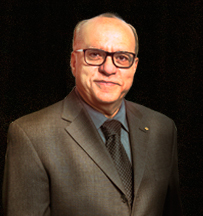 Michel Nakhla (LFIEEE) is a Chancellor's Professor of electrical engineering at Carleton University. He received the Ph.D. from University of Waterloo. Before starting his academic career, he worked at Bell-Northern Research beginning as a research engineer and advancing to become senior manager of the VLSI design automation group. 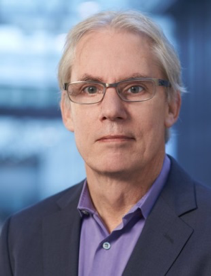 In 1988 he joined Carleton University where he held the NSERC-Nortel Industrial Research Chair in Computer-Aided Design of High-Speed Circuits. Dr. Nakhla made trend-setting achievements to the state of the art in the design automation of microwave and high-speed VLSI circuits and interconnects. He has pioneered the concept of the Piecewise Harmonic Balance Technique, which was later adopted and evolved by numerous leading researchers worldwide and is the backbone of current high-frequency circuit simulators. His innovative algorithms for prediction and correction of high-speed effects at the early stage of the design cycle are widely used. He is among the pioneers in developing new approaches for simulation of high-speed circuits and interconnects using the revolutionary concept of model order reduction. Publishing more than 350 research articles in top-tier journals and conferences, he has received several Best Paper Awards and the IEEE Microwave Prize in recognition of the most significant contribution by a published paper to a field of interest to the MTT Society.